Let us know which font you like. Let us know with as much detail as possible how you want your layout to be on your stamp. You can also use the logo/artwork upload to send an example image. 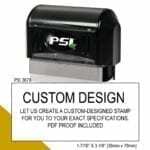 Let us create a custom stamp design just for you. It can be anything you want. Provide the logo(s) and text and our design team will do the rest. This stamp is the heavy duty PSI 3679 which will deliver thousands of laser-quality images before ever needing to be re-inked. 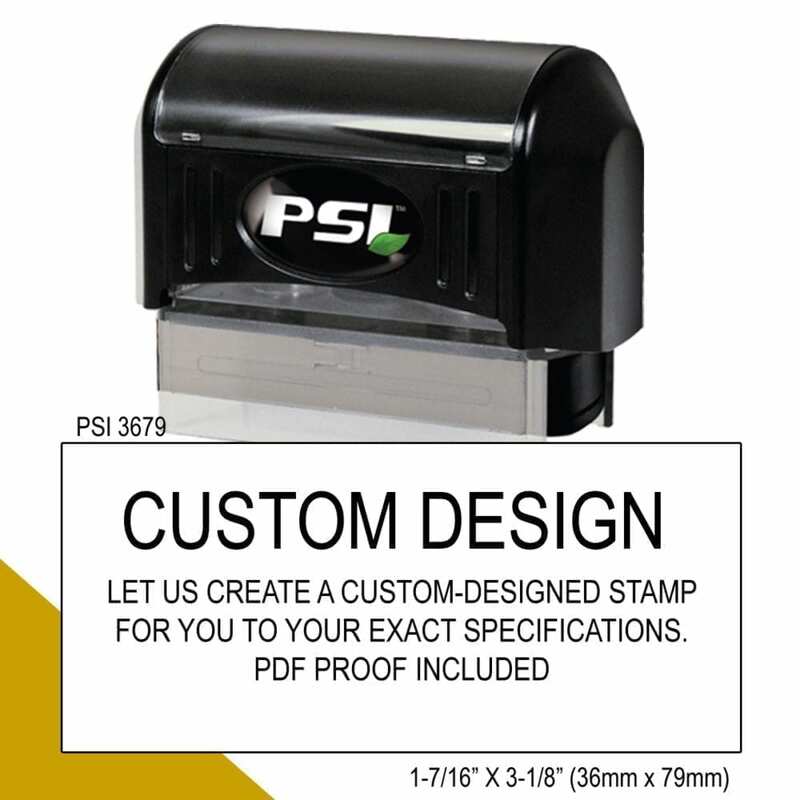 Once created, we will email you a PDF proof of your custom stamp design for your approval. You will receive 3 revisions free of charge, then $2 each additional revision. We guarantee our work 100% to be free from error or defect.